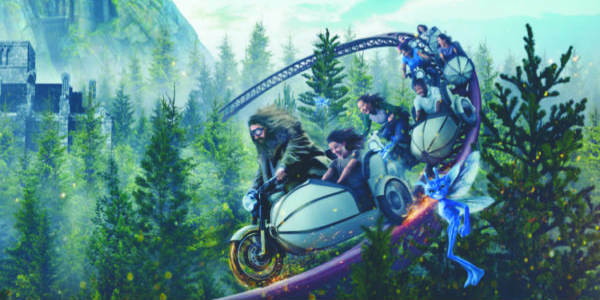 Last month Universal Orlando announced the name of the new Harry Potter coaster would be Hagrid’s Magical Creatures Motorbike Adventure, and today, they’ve released more details about the ride itself. Universal Orlando Resort has revealed the name and opening date for the highly-anticipated, new adventure coming to The Wizarding World of Harry Potter this summer. Busch Gardens Tampa has announced it will open Florida’s tallest launch coaster in spring 2019, called Tigris. 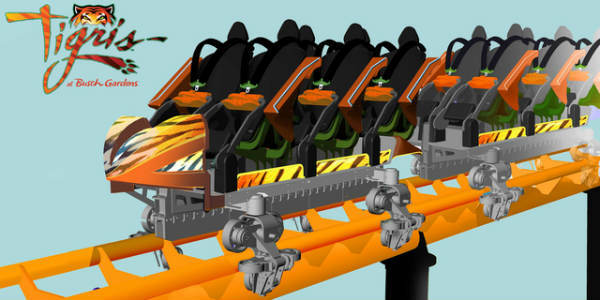 According to the park, the triple-launch, tiger-themed roller coaster will hurl riders down more than 1,800 feet of steel track, 150 feet into the sky, turn them upside down and swirl through curves at 60 miles per hour. It will also move backward at one point in the journey. The Great LEGO Race at LEGOLAND® Florida opened with a great flourish on Friday, March 23, adding new thrills to the park’s roster of rides. The attraction combines roller coaster thrills with virtual reality (VR) technology to put guests in the center of an action-packed road rally where the laws of physics and aerodynamics only loosely apply. LEGO fans, start your engines! 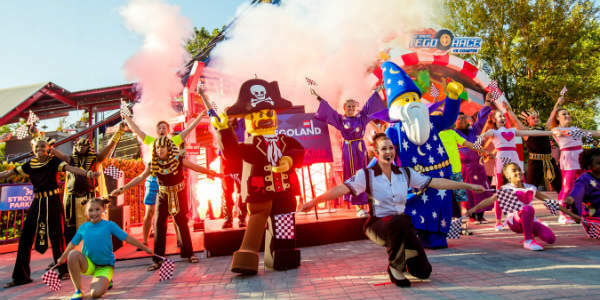 LEGOLAND® Florida has announced Friday, March 23 as the grand opening date for its newest attraction, The Great LEGO® Race. 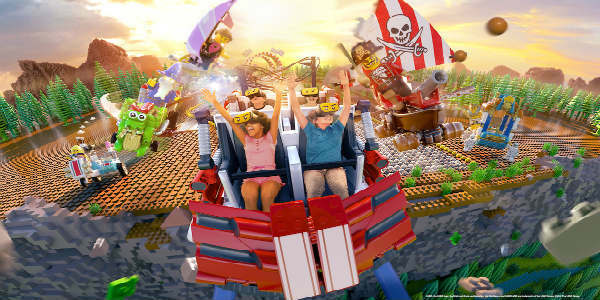 It’s the first virtual reality (VR) roller coaster experience designed for kids and represents the first time the LEGO brand and minifigure characters have been integrated with VR technology in a theme park attraction. 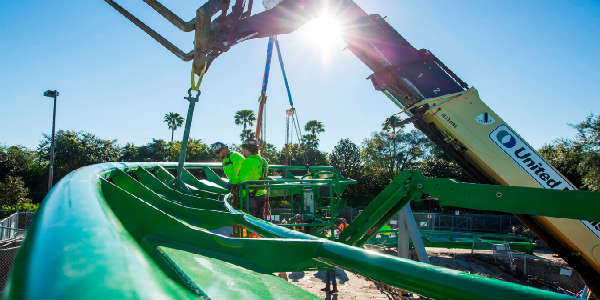 In September 2015, The Incredible Hulk Coaster closed at Universal Orlando‘s Islands of Adventure for rehab, but last week, the first pieces of the coaster were re-installed. These first pieces of the track are only part of the hard work going into upgrading the popular coaster. Tonight the Orange County Board of County Commissioners unanimously approved a rezoning request for the proposed Skyplex Orlando development to be built on International Drive. 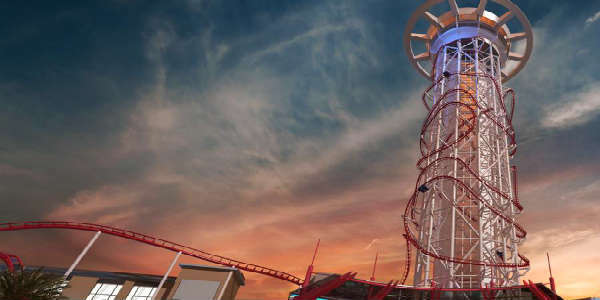 The project, which calls for a 501-foot roller coaster topped with a revolving restaurant, also includes plans for a 350-room hotel, 333,000 square feet of entertainment space, more than 95,000 square feet of general retail and nearly 40,000 square feet of restaurant space. When it opens in 2016, Mako will be the tallest, longest, and fastest coaster in Orlando. It is a 200-foot-tall hypercoaster that will reach 73 mph as it traverses 4,760 feet of steel track (almost a mile long). This one-of-a-kind spin coaster features a 70-foot vertical lift and takes riders on a whirlwind adventure over the park’s Serengeti Plain. The intersection of I-Drive and Sand Lake Rd is in the process of a transformation and one of the most anticipated parts of that change is the new Skyscraper roller coaster that is scheduled to open in 2017. The unique design of this coaster winds the tracks around a tall pole more than 500 feet tall, making this the world’s tallest coaster. This week a 4 minute computer animation was released by Orlando-based US Thrill Rides showing an on-board perspective of what it will be like to be on the ride. The cars, holding eight passengers in two rows of four, climb steadily up a track that surrounds the tower. The route down is a winding corkscrew path full of sudden drops, loops, dives, spirals, and inversions. Near the ground, the track winds around the edge of the Skyplex shopping and dining structure, as well. Fun Spot America will be celebrating the 15th anniversary of its Orlando location with special deals for guests. On June 8, all guests can purchase ride armbands before noon for only $15. The park is in the midst of a major renovation, that will expand its size from 5 acres to 15 acres. Already in place are two new rollercoasters – a steel suspended coaster, and a 2,000-ft wooden roller coaster (Orlando’s only one). 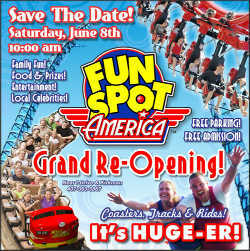 The park will open at 10am on June 8, so there will be plenty of time to get the $15 wristbands and enjoy the rides. There will also be food, prizes, and local celebrities in attendance. Fun Spot Orlando is located at 5700 Fun Spot Way (just east of the intersection of International Drive and Kirkman) in Orlando. For more information on the park, visit FunSpotAttractions.com.